Recently Medibank Private announced that they would be open for surgical specialists to provide them with feedback about their complication rates. How is it that we don’t have access to these numbers in the first instance? In addition, not all of us treat Medibank patients exclusively. Before SurgicalPerfomance started there was no way doctors could access data on how well they were doing clinically. However, we are the ones who decide on clinical management, who deliver the treatment and who see patients post intervention. We normally believe that we do a reasonably great job in treating our patients. But do we actually know that? Hospitals do collect our clinical outcomes information but it is available in a very rudimentary form to inform medical billing. It is not meant and has not been developed to inform doctors about the clinical outcomes of their patients, and compare them to the outcomes of their peers. Running your practice not knowing how you do financially would be impossible. On the other hand, most specialists remain blissfully unaware about their clinical outcomes as it relates to their patients. In SurgicalPerformance we believe that we need to know where we stand. We need to know if there are areas in which we could perform better in order to change things. If we even don’t know about it – how could we improve? In SurgicalPerformance we only collect data that serves the purpose of Quality Assurance. We collect only data that is measurable (or can be estimated) for the purpose of comparing and benchmarking. We collect data on patient demographics (age), outcomes as suggested by the Australian Commission on Health and Safety (ACHS) as well as specific outcomes that are specific to the procedure or condition. Last but not least we also collect data on confounders, which are factors that can have a massive influence on clinical outcomes. Examples include BMI, medical co-morbidities and the ASA score (both representing general medical health) and all data are procedure-specific. This means that clinical outcomes are compared within the same surgical procedure (a diagnostic laparoscopy would attract less risks than an advanced endometriosis resection). Some registries collect data that inform the professional standards bodies or governments. By contrast, we collect data that are clinically meaningful to provide relevant and sought-after information to our users. Doctors selectively don’t enter patients into registry databases when they suspect that the patient is going to do badly. An example of this is when the Danish Lymphoma Database collected data from their members. The mangers were proud of the data until it was suspected that selected patients did not get entered into the database. The Lymphoma Database was cross checked with the Government Database and it was confirmed that patients who were older and associated with poor prognostic factors were in fact not entered. In brief, these were patients who were expected not to do well, and not fit enough to tolerate aggressive treatment. Why would we withhold data entry of patients with potentially poor outcomes? We don’t enter them into the database because we are scared. Rightly scared. Scared about knee jerk reactions from media savvy bureaucratic. Doctors are concerned about the possibility that an incompetent health administrator or an incompetent College committee member recommends that a surgeon must be audited and while s/he gets audited needs to pause all clinical activity (which can easily take six months). This has actually happened in the past and has destroyed careers. In the Danish example statistical adjustments for risk factors neutralised that concern and units who treated elderly and multi-morbid patients actually did well. Adjusted for their risk profile, they had favourable complication rates compared to other units who appeared to have a normal complication rate at first sight. What can we learn from this? Confidentiality is important to allow medical specialists to learn and improve their practice. SurgicalPerformance was built with all of the above in mind. Only our users will have access to identifiable data so that they know their surgical outcomes. It is not good enough for the hospital, the College or the health department to know. The information we provide on health outcomes are measurable and not interpreted; they are as accurate as our users want them to be; and we limit our data capture to clinically meaningful data fields only. Confidentiality is critical to our success. We will never share identifiable data with third parties. 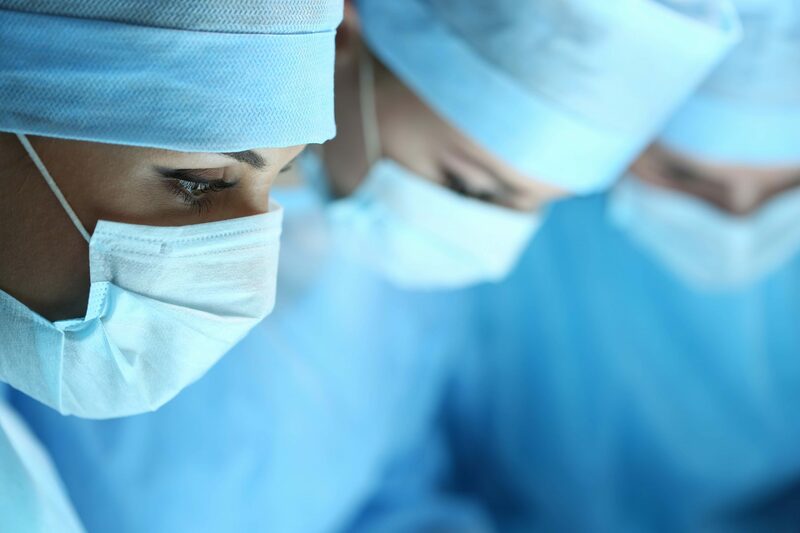 SurgicalPerformance obtained Qualified Privilege from the Australian Commonwealth, which protects data stored in SurgicalPerformance from being disclosed to lawyers or the courts.